Designed for the machining of mid to large aerospace components with unsurpassed efficiency. Box construction integrates the base, column, and table for the maximum rigidity to ensure high accuracy machining. 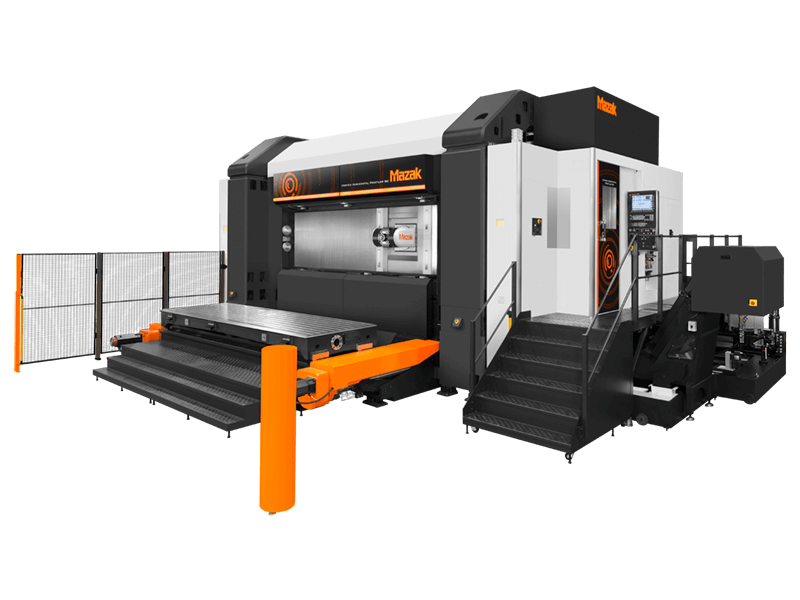 High speed simultaneous 5-axis machining thanks to the maximum feedrates of 1378 / 1181 / 1181 IPM (35/30/30 m/min) for the X/Y/Z axes and 50 rpm for the A/C axes both driven by Direct-Drive motors. Large workpiece : capacity table size is 157.48 x 49.21"(4000 x 1250 mm) with maximum load of 6615 lbs (3000 kg). Symmetrical base/column construction together with advanced coolant and chip disposal system minimizes heat displacement for stable production.